Just recently last year, a Finnish indie developer Almost Human Ldt. raised from the depths of the unknown and released Legend Of Grimrock, a party-based first-person cRPG, much in veins of Dungeon Master and Eye Of The Beholder series. The team had clear vision, to bring party-based classic dungeon-crawlers back to this planet. Grimrock, as a matter of fact, was being in development quite many years before Almost Human Ltd. was formed (2011), being developed under different project names on it's early stage, until finally named as Legend Of Grimrock. The reception towards Grimrock was, well, quite decent, and it managed to surprise many of those not aware of it's coming. The game wasn't overly complex, but it did well what it was meant to do: be a rather straightforward old-school flavoured first-person dungeon-crawler cRPG with a full party to create (1-4 characters), and involved some puzzles. Grimrock acquired respectable metacritic score of 82 (average out from 49 reviews), which is pretty good for genre such as cRPG, even when it's old-school, taking into consideration that games like this aren't usually not fully understood and respected with modern-gaming generation. 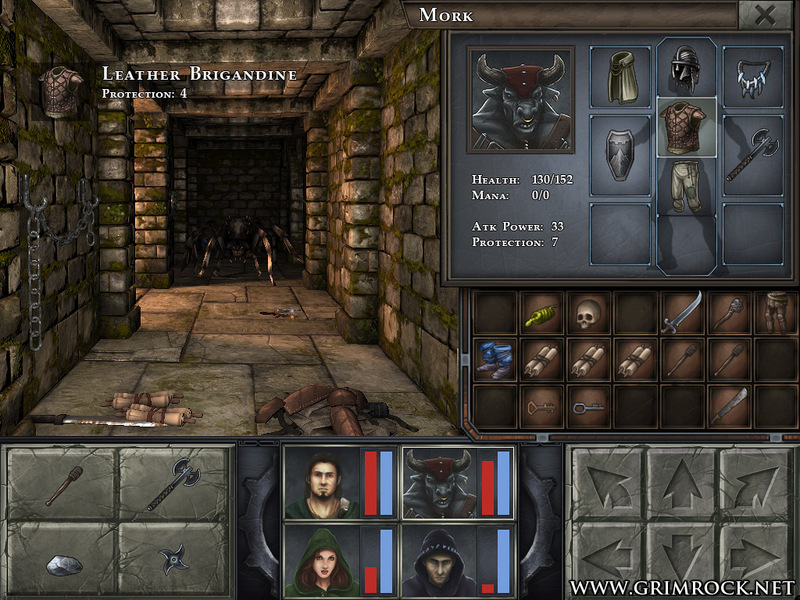 In 2013 Almost Human Ltd. announced that Grimrock had sold over 600,000 copies. The story was simple: an airship carries a group of prisoners on top of Mount Grimrock accused of their crimes against the King. Their punishment, to be thrown into the depths of Grimrock dungeons, and sealed within, where no prisoner has ever returned. Your quest? To find a way out of Grimrock. 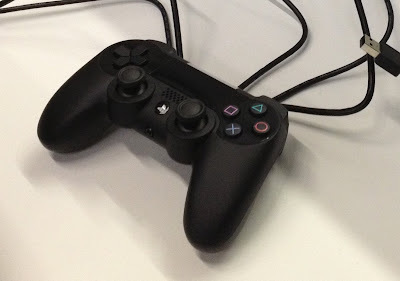 "[...] today’s meeting proved, we still have a lot of ideas we’d like to explore, lots and lots of new content already done (originally made for a DLC/expansion) and a big engine update in the works. Simply put, a DLC would have limited too much what we can do. With a full blown sequel we can raise Grimrock to the next level." (About The New Project. 21st of Feb 2013. Almost Human Ltd. www.grimrock.net). Information of Grimrock II vague, but it's coming, so stay tuned for more! 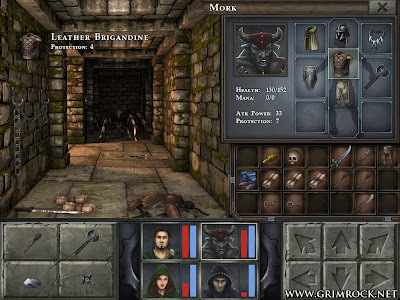 If you never tried original Legend of Grimrock, feel free to buy it as digital download from Good Old Games! 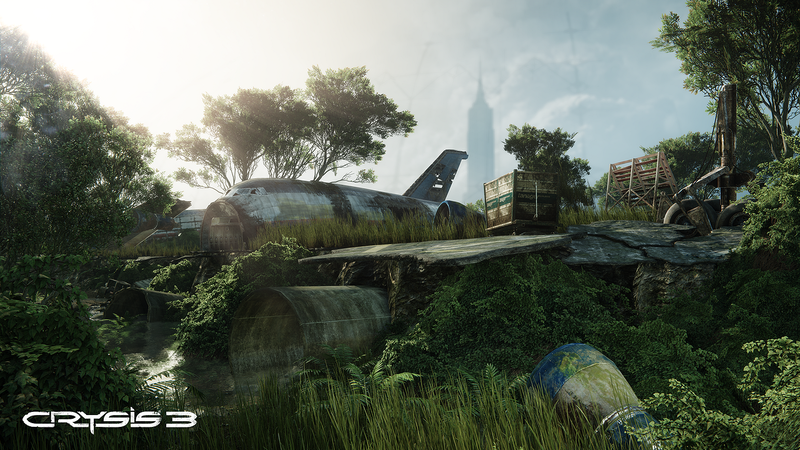 Brian Fargo and InXile Entertainment company are currently developing Wasteland 2, but Fargo doesn't rest for a minute. His team already has their sights for future, to allow the team to continue with a new game straight after Wasteland 2 (and most likely even overlapping with it's production too). Earlier this year Fargo hinted to have acquired rights for "Torment" trademark, thanks for clever folks in rpgcodex.net noticing this before anyone else (even if you hate them, you probably love them secretly too). 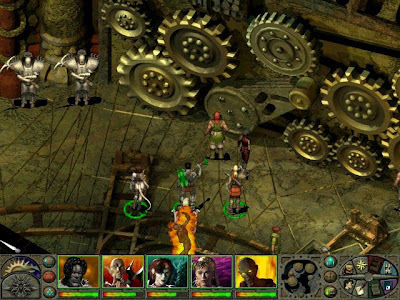 Planescape: Torment was well received top-down isometric computer role-playing game released in 1999 by Interplay, a company where Fargo belonged previously. 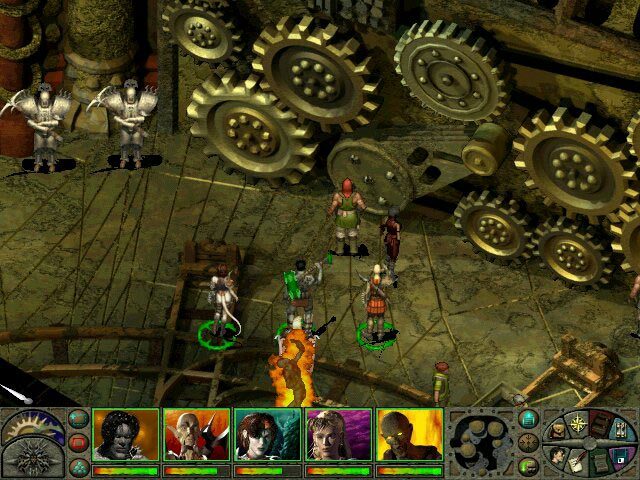 Planescape: Torment was well known for it's dark story and setting, putting emphasise heavily on story-line rather than combat, with quite complex dialogue and it's options. However, Fargo's latest trademark acquisition only granted rights to make a "Torment"-game, which does not include anything related to "Planescape" license. Torment and Planescape are two different things, and should be kept separate. Now, Planescape actually stands for a Dungeons & Dragons campaign setting and rules, which Fargo cannot use for the new Torment game, while Torment stands for the fictional story and characters created by Interplay team for Planescape setting in the PC game. Fargo and InXile Entertainment can use any fictional characters and things from story-line of Planescape: Torment, which are not borrowed from Planescape universe, but from anything that Interplay themselves came up with and added on top-of that for Planescape: Torment game. InXile's team actually stated in an interview, that they see "Torment" trademark mostly as specific thematic story style, rather than a specific setting (Torment interview with Colin McComb and Kevin Saunders. 12th February 2013. www.dagonslair.com). So, Fargo and InXile have decided to put their "Torment" trademark license to use, and create "a spiritual successor" for original Planescape: Torment soon to be kick-started on www.kickstarter.com, a game that will carry on the original's legacy. Instead of using Planescape campaign setting, Fargo acquired rights to use a brand-new science-fiction table-top RPG fantasy setting in the upcoming game, which is called Numenéra. Numenera setting was just recently in last year's September successfully funded at kickstarter.com reaching $517,255 in pledges out of it's original $20,000 goal and was a huge success. Fargo also stated earlier this year that the soon-to-be-kickstarted Torment: Tides Of Numenera will be set in overall dark game-world setting, bit like it's "predecessor". The game will use adapted table-top setting rules of Numenera, and developing team will include at least Colin McComb (creative lead, worked as developing Planescape setting, as well as a designer for Planescape: Torment), Kevin Saunders (lead designer and producer for Neverwinter Nights 2: Mask of The Betrayer), Mark Morgan (as a composer, from Fallout 1 and 2), Aaron Meyers (artist on Planescape: Torment), and Dana Kutson (primary concept artist for Planescape: Torment) on their ranks. Stated in the interview, Chris Avellone won't be involved in the project (Torment interview with Colin McComb and Kevin Saunders. 12th February 2013. www.dagonslair.com). As we know for know, world of Numenera is set in distant future, and won't be using planes per se in it's game world unlike Planescape: Torment, but the game will include some extra-dimensional travel and locations separated from the actual reality. The team is still figuring out whether they will use full isometric 3D for the game or will they include pre-drawn 2D backgrounds. However, they have stated that they really felt Wasteland 2's isometric 3D view with Unity engine worked well for them, so it might be a hint to use something similar for Torment: Numenera. InXile have just recently set up official website containing forums for Torment: Tides Of Numenera and are currently asking votes of the consumers for upcoming kickstarter-campaign pledge rewards. Be sure to check the official website here. You can also read full interview of Torment: Numenera with Brian Fargo & Co. by dagonslair.com at here.The kickstarter campaign should follow shortly, much before Wasteland 2 is finished. And while you're read this far, you might as well feel like it's time to reinstall the original Planescape: Torment and give it a run? You can get it from Good Old Games as digital copy with PDF-manuals for $9.99. The game was about 98% ready when the Indiegogo campaign first started couple of months ago with goal of $250 000, but ending up "only" bit over $10 000 of raised funds few days ago. The trick here is though, that original campaign was so called "flexible funding" campaign, which means that what amount ever Grimoire would reach, it would be released and money would go to their righteous owners (the creators of the game). Cleve then decided to extend recently ended Indiegogo campaign for 60 more days (starting from yesterday), so you still have chance to back this game and purchase it! Deal with Indiegogo ensures that already given pledges will still count as purchase, so the game currently has that bit over $10 000 of funds raised, with 60 more days to go, and the current goal for extended period is 10% of the original goal - $25 000. The extended campaign is also so called "flexible funding"-campaign, which is guarantee of the release, not matter if the goal is reached or not. Extending the campaign always makes you think "will the game also be delayed?". Well far is it's known for now there is no delay, the new (extended) Indiegogo campaign page of Grimoire says "to be shipped in May 2013" just like previously, it's just prolonged period to actually buy the game and only chance to acquire a new physical copy of the game, which is set to be shipped and delivered during May 2013. If you're into bit more complex cRPGs that what seems to be released these days and hell, perhaps even since mid-90s, then I truly suggest that you give this game a look! It's coming (well that too: Grimoire). Wasteland 2. The much expected messiah of party-based cRPGs. Brian Fargo's team InXile Entertainment have finally managed to come out with first actual gameplay video material for those who are interested in the game to look at. The game's promised development cycle is 18 months, which means the game should be out near the end of this year, and thus there's still loads of work to do for InXile team. -Dialogue uses keyword-system, whereas any dialogue options that are available for you to choose are single words (keywords) instead of full sentences to choose from. For example if you had an option to intimidate someone, the option would be just one word "intimidate" instead of something like "give me your goddamn money or I'll crush your skull!". 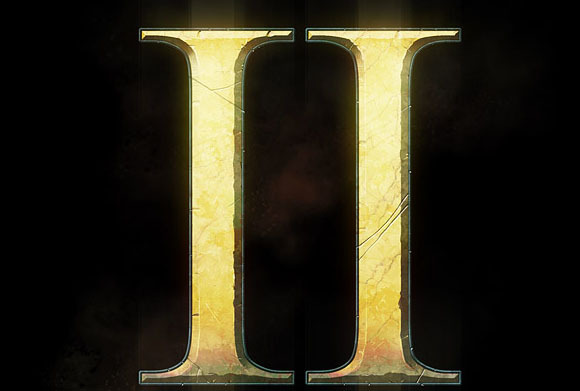 -The game uses two-stage fog-of-war system, which means that the first layer is the area that you have or have not explored yet, which means you'll see the terrain if you've explored it previously (memorised), but if you haven't you'll just see dark unexplored area - and second layer is your actual sight which reveals the enemies. You won't be seeing enemies on the area you have previously explored, in case you have no direct eye-sight on them. EDITOR'S NOTES: I feel that the gameplay video presented here really showed Wasteland 2 to be quite promising product. 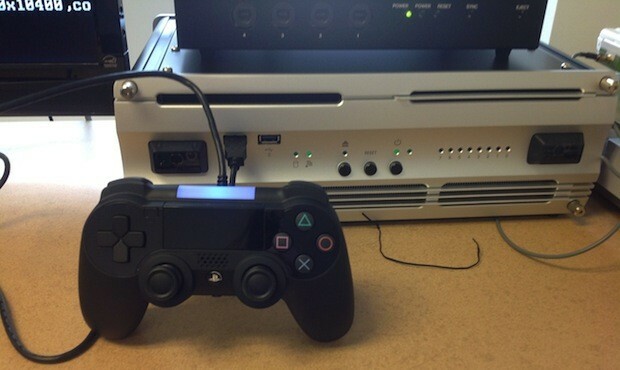 Game engine seemed quite fluid and solid. Personally I liked the two-stage fog-of-war, which gives sort of element of surprise as you have to have actual eye-sight to the enemies to spot them. Not being able to see any enemies behind the corners makes you plan your tactics more carefully. Still, game-engine wasn't as pretty it would be, if it used pre-drawn 2D backgrounds like Baldur's Gate, Planescape: Torment. The engine reminded me a bit too much of Jagged Alliance: Back In Action, but was surely heading towards bit more complex and polished fields. One thing that combat video did not show was, if there is actual possibility to wound badly in combat and bleed. And does the game have diseases as well? Need for a medic or doctor could be a nice addition as well as stamina-attribute, which could run out during pacey combat. I think that Wasteland should have at least a slight "survival"-type of a gameplay element included, even if it would not be so extensive. I'd really wish these things could end up to the final product, but so far I have no clue whether they're planned to be included at any extent? type and keyword during dialogue is nice touch and boasts many possibilities to make the game more interesting, but we'll see how deeply will InXile use this option within the final product. I feel it's nice that they've taken a step to decrease amount of voice-acting with trade-off to increase NPCs text-based reactions and dialogue options towards player characters. Breaking through the locked doors with several different ways also made me wonder: hopefully InXile will keep all separate skills and character builds unique and necessary with possibility to solve quests different ways with different character builds and party line-ups. I would not want to play game where each totally different type of party has equal chance to solve any quest around. Some quests and areas should be more rewarding for other type of characters than the others. But that's only my opinion. Overall I'm quite damn excited about Wasteland 2!